Natural Vitamins and Medicinal and Diet Supplements. for 8 CONSECUTIVE YEARS ! Natural Products for the ​Natural You!! Natural Products for the Natural You! 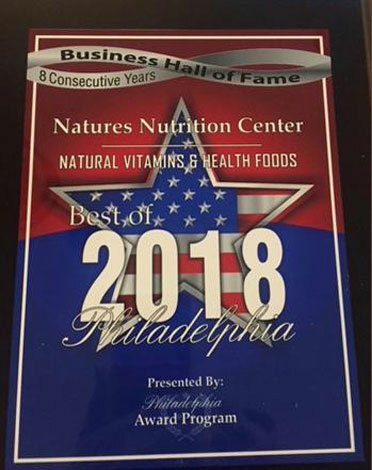 Natures Nutrition Center has been awarded THE BEST NATURAL VITAMINS AND HEALTH FOODS IN PHILADELPHIA, eight consecutive years, for good reason. 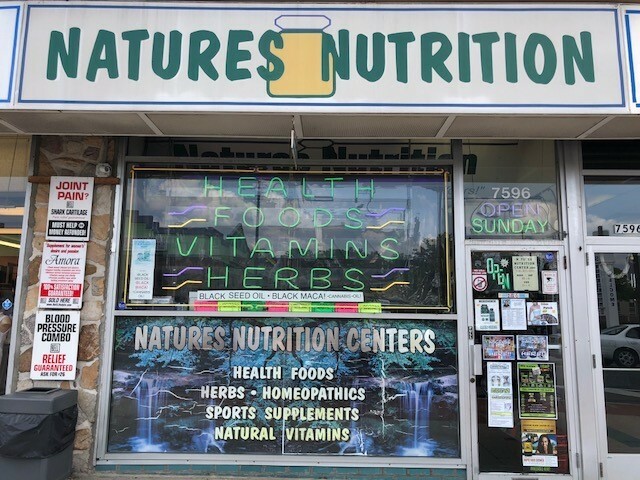 For over 40 years we have provided the Delaware Valley with the largest selection of Natural Vitamins, Herbs, Medicinal and Diet Supplements, Colon Health, Male Sexual Formulas, Female Needs, Skin Care, Natural Oils and much, much more. We differ from other stores in that our staff remains constant. We look forward to the challenge of helping you find solutions to improve your quality of life as well as provide a unique one-one experience to every person who comes into our store. Our store is filled with wall-to-wall and shelf-to-shelf natural and holistic products to suit any remedy you wish to research. Our literature sheets are a reminder of what products best help the most common conditions. Visit us today to start your journey of natural supplements to optimize your health. Remember, "Good Nutrition is our ONLY business....and YOURS!!" © 2018, Natures Nutrition Center. All Rights Reserved.